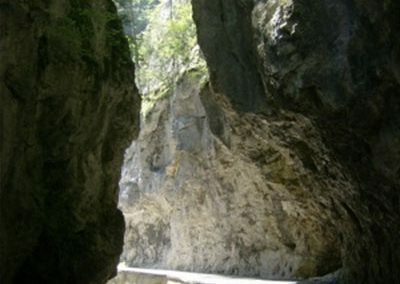 The Buynovo Gorge is located in the Rhodope Mountains, north of the village of Buynovo (Borino municipality), on both sides of the river Buinovska which is a tributary of the Vacha River. 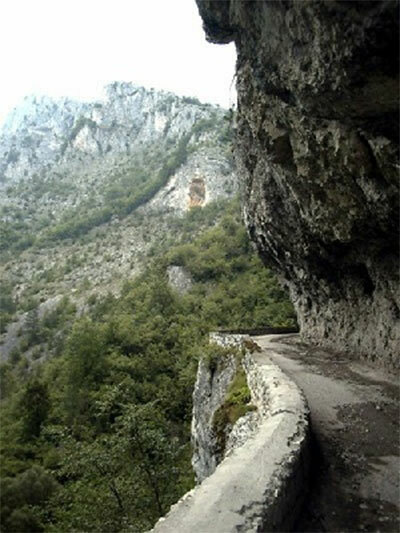 The gorge is very impressive and beauty. 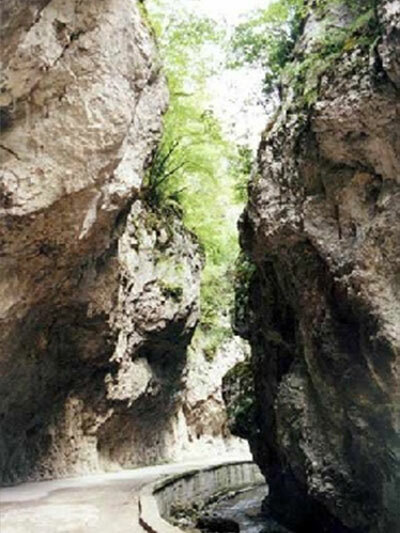 The Buynovska River forms a picturesque pools and waterfalls, the rocks are high and almost vertical. In their upper side they are very converged, creating the illusion that almost touch each other and someone can jump over the sides. 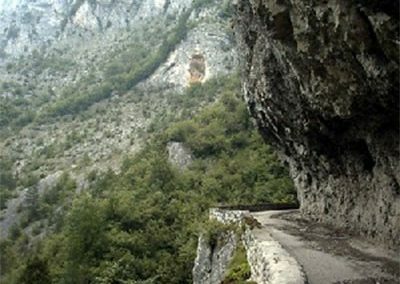 The local people call the narrowest part of the gorge “The Wolf Jump”. The say that at this place in winter the starving wolfs jump over to attack their folds. 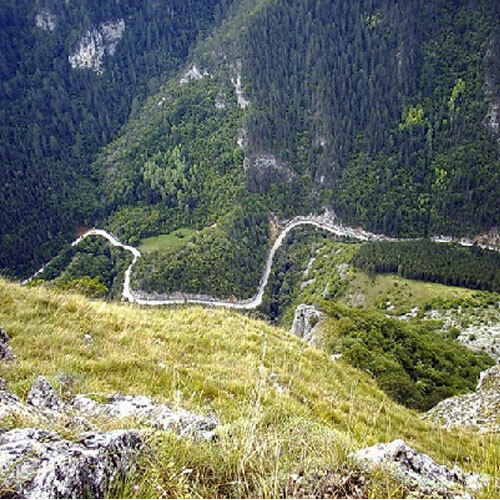 The region is famous for its great diversity of animal and plant species, many of which are protected. 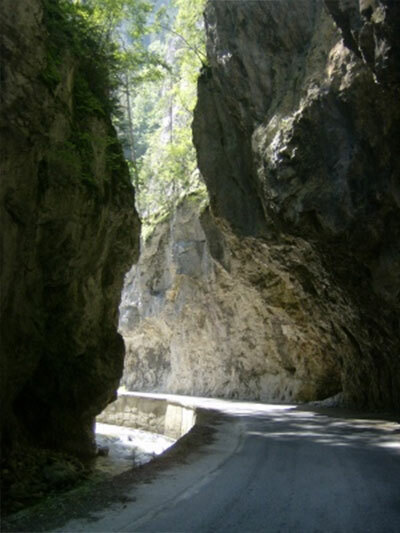 At the end of the Buynovsko gorge, close to the village of Yagodina, is situated one of the most beautiful caves in Bulgaria – Yagodinska cave. 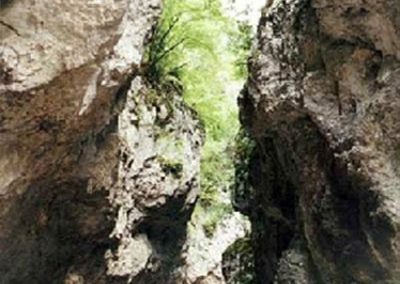 The Buynovo Gorge is part of the “Hundred National Tourist Sites of Bulgaria” and was declared a natural landmark in 1971.